Whatever we idealize betrays us. Where this is most profound is the relationship between children and their parents. We place expectations on them that are impossible to ever meet. As John Bradshaw once stated, we deify the parent and parentify the deity. Moving into maturity requires redefining our understanding of and relationship to both. Individually and collectively, we project human attributes onto God. Typically, these are the characteristics and traits of those who serve as the higher power in our lives as children, our parents. We reduce the Creator of a vast Universe we cannot fully fathom to the limitations of being human. We have given God a gender and turned him into our father. While this makes incomplete sense on a symbolic level, I prefer to think of God as the Great Mystery. The term God has become synonymous with human characteristics which removes the element of mystery giving us a false, rather, narcissistic sense of knowing. Mystery compels inquiry. Once solved the quest to know ceases. To believe we have the capacity to fully know the greatest mystery of our existence, what is responsible for Creation as we know and perceive it, is merely arrogance. The ever-unfolding mystery of the Divine is one of the greatest joys of life’s journey; however, the human ego, another idealization, betrays us through its need for certainty. Spiritual maturity compels a more evolved understanding that requires leaving the childish notions of the old bearded man on the cloud behind. Spiritual maturity requires a level of psychological maturity that allows us to exist in the uncertainty of the human condition. This is no small task and I presume spawned the experience of faith. Not religious faith, per se, but the faith that allows us to go forth despite the inability to know what is beyond the present moment. I leave for work every morning with the unconscious belief that I will arrive safely and return home safely. I have no certainty of this outcome, nor do I even think about it, but without faith I would be too overcome with anxiety to leave my home. While we reduce God to one us, we elevate our parents to deities. This should come as no surprise because in the child’s mind, they are. Our parents create us, protect us and provide for us. We reach to them for safety and comfort with an instinctual knowing that without them we cannot survive. The human condition is such that our first experience of a higher power is our parents. For these reasons, the child’s bond with the parent is sacred. Consider the longing of those who have been adopted to know their biological parents. Consider the deep wounds of the child whose parent is lost at an early age. Consider the desire of the child who has been abused, neglected, abandoned or rejected to still desire some form of connection to their parents. Beyond all resentment, anger or disengagement born of parental wounding is a deep desire for the love of and a deep love for these vessels of our creation. To the extent the parent is held in this most sacred way in the heart of the child, their words and actions carry supreme influence, shaping our perception of the world and our perception of ourselves. Much like the hero, warrior or king, the parent is an archetype; an idealized image of a person that comes with expectations no mere mortal can ever fulfill. It is a psychological necessity of the child to idealize the parent. It is also a psychological necessity of the child to deny the limitations and imperfections of the parent. Children are helpless and vulnerable with an innate awareness of their fragility in the world. Idealizing the parent as all-knowing and all-powerful offers a sense of certainty and security in a world the child is ill-equipped to navigate independently. The belief in parental omniscience allows the child to go about the tasks of childhood unburdened by the fragility of life. 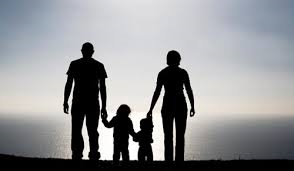 Pre-adolescence and adolescence typically marks the beginning of a shift in the parent/child relationship. Teens become quite adept at challenging the sovereignty of their parents. What may appear as defiance is merely preparation for the sovereignty one must ultimately assume in his/her own life. To fully enter the realm of the mature adult, we must put away childish things; perhaps the most difficult are the expectations of our parents to be, or have been, perfect. All parents wound their children in some way. It is an inevitable reality of the human condition. Imperfect beings will function imperfectly in an existence as complex as the human experience despite all efforts to the contrary. Parenting is no exception. The shift into mature adulthood and assuming sovereignty over our lives involves the difficult process of redefining our perception of and our relationship to our parents. While we will always be our parents’ children, at some point we become their adult children. In so doing, we are gifted with the opportunity to grow from being merely a child of God to an adult child of God, thus, redefining our perception of and relationship to the Divine. I often ask clients the names of their parents. I instruct them to remove the label of mom and dad and see them as John, Jane, Fred, Martha or, in my case, Russell and Wilda. To remove the label of parent (mom, dad, mother or father) is to remove archetypal expectations, thereby, removing them from the mantle of deity. It is an opening into their humanity – their fragility, their wounding, their limitations, their imperfections and ultimately their beauty. It is also an opening to profound healing as we come to realize our parents have always done the best they could with the inner resources and capacities available to them. Redefining our relationship to our parents marks a redefining of our relationship to ourselves. As we remove the parent from a position of authority over our lives we assume full responsibility for our decisions and choices and their inevitable consequences. The outcomes of our lives fall squarely upon our shoulders. I am continuously reminded of the challenge we humans have with assuming responsibility and holding ourselves accountable. We seek out the scapegoat, the bad guy, the one to blame…and where there is none, enter the devil. The role our parents play in our lives and our perception of them as deities makes them easy targets. I have already acknowledged that our parents will inevitably wound us. Sometimes those wounds cut so deeply they pierce the soul and, in some instances, so deeply recovery is minimal. Mostly parents serve as the repository of resentments; a point of reference to excuse our shortcomings, explain our struggles and the source of responsibility for all that does not work in our lives. As a wise woman once told me, “getting sick may not be your fault but getting well is your responsibility”. While the wounds inflicted on us by the imperfect beings we call mom and dad can help us understand and explain struggles we endure later in life, blaming them offers no transformational value. If we have been granted free will by a source more powerful than our parents can ever be, surely we can exercise this will in service of our healing and the creation of the lives we ultimately desire. Whatever we idealize betrays us. The idealization of the parent is a necessity and so is the betrayal. Without the former we could not endure the angst of the human experience during our formative years. Without the latter we fail to mature into our parents’, and our God’s, adult child. Through the dynamic of idealization and betrayal we grow, mature and evolve; placing our parents in proper relationship to us while embracing and opening to the ever-unfolding mystery of the Divine in our lives. This entry was posted in Family, Psychology, Spirituality and tagged archetypes, Children, God, Parents. Bookmark the permalink.